If you are a woman thinking that you would like to ride in company, but have questions in your mind that are causing some doubt, then read on! Will I be the only girl? Will the group be full of testosterone driven men racing each other?! Will I get dropped, left behind and find myself lost? Will anyone actually talk to me? You needn’t worry, the YOGi’s have approximately 71 women members in the club, including me and we are a friendly bunch. 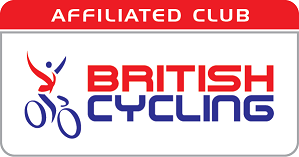 Our Saturday rides are a great way of gaining confidence in riding as part of a club. There are no ego’s to contend with and most certainly no cliques. You will be made to feel welcome. Nobody has anything to prove as the YOGi’s are purely about being able to share and enjoy cycling. The Saturday rides regularly re-group. So whether you are riding purely for enjoyment, or training for an event, you will find yourself welcomed and looked after. We enjoy a good chat too! In regard to fitness we offer Saturday Rides which vary in pace so you can choose which ride suits your ability. Check out the home page as we post ride details every week. If you are unsure of your ability we’d recommend you try the slowest paced ride first. So why not come along and join us for our next weekend ride out? It is probably best if you contact us before so that we can say hi and know who you are prior to the ride. If you have any concerns or would like a chat specifically with a woman member please feel free to contact Charlotte Malcolm.